The history of Fabergé is one of Europe's most fascinating tales from the world of art and craftsmanship. 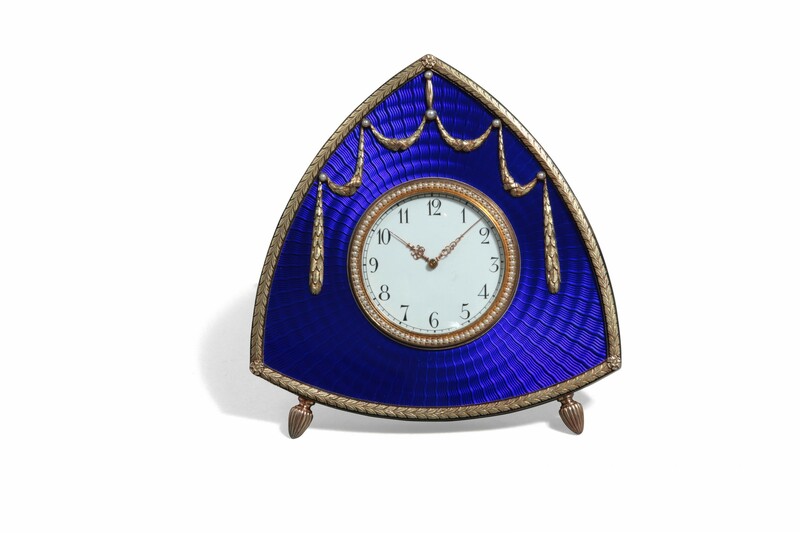 Next week, a beautiful Fabergé clock from St Petersburg, 1896, will be going up for sale at HVMC. The story begins in 1872, when Carl Fabergé acquired his father's modest jewellery atelier in St Petersburg. 40 years of exquisite design and impeccable taste, Fabergé was transformed into the largest workshop if its kind, with around 500 designers and talented craftsman employed by the Russian house. Then, Fabergé's clientele included the Russian imperial family, who began the tradition of commissioning Fabergé to create the most delicate and previous Easter Eggs. However, the fairytale of the jewellers was cut short n 1917, as the Russian Revolution brought an end to the Romanov dynasty and a definitive halt to the House of Fabergé. 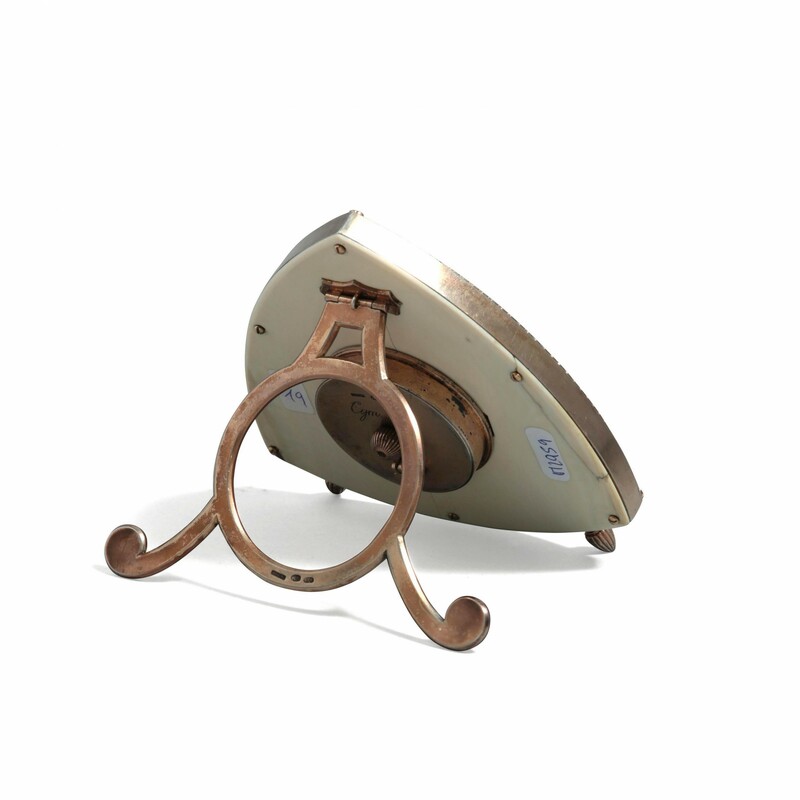 The timepiece was created in St Petersburg in 1896, possibly by Michael Evlampievitch Perchin (1860-1903) with the internal mechanism crafted by famous Swiss clock maker Herni Mosner. The enamelled blue piece features a clock face under a glass dome with a pattern of undulating rays alongside the Arabic numerals. The design of the piece is finished with a garland of laurels as well as scalloped garlands of leaves adorned with flowers. This piece could well fetch above the estimate. The record for a Fabergé clock currently stands at £8.9 million, set in 2007 at Christie's when the so-called Rothschild Egg sold at auction. The piece became the most expensive timepiece, Russian object, and Fabergé object ever sold at auction. HVMC's Russian art sale, featuring icons, jewellery, crystal, porcelain and more, will take place on 19th July, 2017, at Café de Paris. An exhibition of the auction will be held from 13th to 19th July, 2017. Check out the full catalogue here.